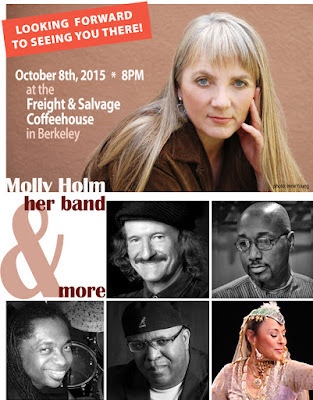 "I am still in the afterglow of a most spectacular SUPER BLOOD MOON ECLIPSE and my concert is only 8 days away. Musical preparations for this event are in high-gear, and we are having FUN rehearsing! I am excited to perform with saxophonist Charles McNeal for the first time, and also to feature Antonia Minnecola who improvises in the tradition of North Indian vocal percussion, known as "parhant." If you've seen her, you know how amazing she is! I have composed a new tune--an acknowledgment of the responsibilities an artist takes on in self-producing performances, called Sole Proprietor. I intend to add it to the roster of songs that I am targeting for my next CD. Also, with the help of Frank Martin and his remarkable arranging talent, I am reworking a song I wrote earlier in my career. A Thousand Voices is dedicated to a friend who lost his grounding amid the stresses of an interracial marriage. His death had a lasting impact on all who knew and admired him. 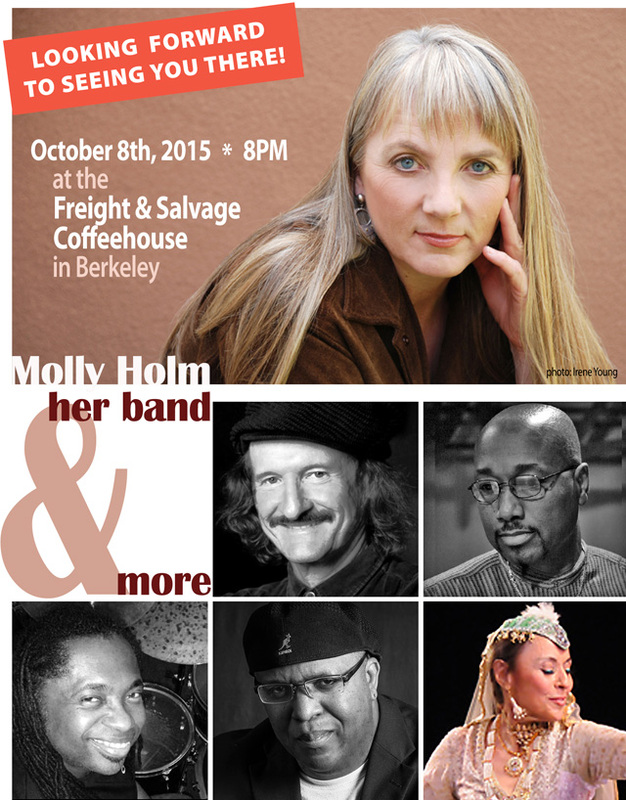 Finally, I am happy to have two very special guests, Julie Moon (piano & voice) and Tim Kim (voice & violin). They recently performed their original compositions at San Francisco's Asian Art Museum as part of 7th Annual Celebration of Korean Art and Culture." 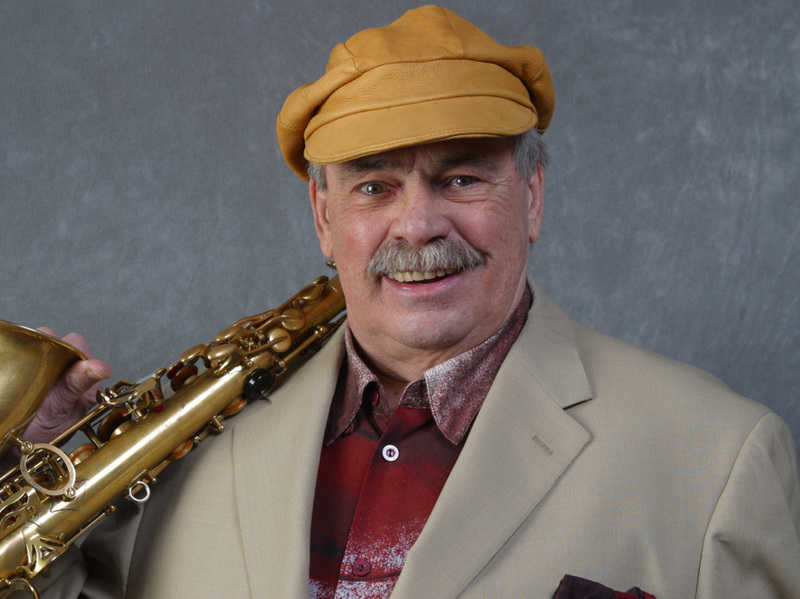 San Francisco Bay Area woodwind expert Steven Lugerner continues his explorations of the music of jazz legend Jackie McLean with Jacknife, a hard-hitting West Coast post-bop quintet that Lugerner premiered earlier this year. The group has completed work on an album, The Music of Jackie McLean, slated for release on April 22, 2016, and will be appearing at several West Coast venues this fall. Lugerner is also planning spring dates to coincide with the CD release that will feature the virtuoso pianist and former McLean sideman Larry Willis. Exploring tunes from McLean's seminal early- and mid-1960s Blue Note albums Jacknife, It's Time, Let Freedom Ring,and New Soil, the new session brings together a formidable cast of rising talent, including pianist Richard Sears, bassist Garret Lang, drummerMichael Mitchell, and trumpeter JJ Kirkpatrick. Jacknife will be performing at the Blue Whale, Los Angeles (11/4), and at the Red Poppy Art House (11/6) and Chez Hanny (11/8), both in San Francisco. Larry Willis made his recording debut on McLean's 1965 date Right Now and appeared on the originalJacknife album (1966) and other recordings by the saxophonist. Lugerner connected with Willis this past summer at the Stanford Jazz Workshop, where Lugerner has been Faculty Coordinator since 2013 and Willis was a visiting artist. Although Lugerner never had the opportunity to meet McLean, who died in 2006 at age 74, he listened deeply to the alto giant's recordings as he was coming up. "I studied with alto saxophonist Mike DiRubbo, who studied directly with McLean at the Hartt School," says Lugerner. "Mike was a huge influence on me when I was in college." In addition to his work with Jacknife this fall, Lugerner will be hosting/leading the Stanford Coffee House Monday Night Jazz Jam, which begins tonight (8-10pm) and runs for seven consecutive Mondays through 11/9. Lugerner and pianistMalcolm Campbell will be supported by a rotating cast in the rhythm section, including bassists Josh Thurston-Milgrom, Matthew Wohl, and Zach Ostroff, and drummersMichael Mitchell, Austin Harris, Britt Ciampa, and Adam Starkopf. In a relatively short period of time, 27-year-old Bay Area native Steven Lugerner has collaborated with a heavyweight roster of jazz masters, including pianist Myra Melford, percussionist John Hollenbeck, tenor saxophonist Dayna Stephens, altoist Miguel Zenón, soprano saxophonist Jane Ira Bloom,flutist Jamie Baum, and drummer Matt Wilson. His latest album, the digital-only release Gravitations Vol. II (2015), is a gorgeous duo project that places piano great Fred Hersch in an entirely new context. A skilled and diversified woodwind doubler on saxophones, bass clarinet, B-flat clarinet, oboe, English horn, flute, and alto flute, Lugerner is suitably focusing on the alto saxophone for his work with Jacknife: "This is one project where I can bring just one horn." Jacknife personnel for the November shows includes JJ Kirkpatrick on trumpet and drummer Michael Mitchell on drums, with pianistCarmen Staaf and bassist Garret Lang performing in Los Angeles, and pianist Adam Shulman and bassist Josh Thurston-Milgrom on the Bay Area dates. Preview: "The Music of Jackie McLean"
One of my all-time favorite musicians, Phil Woods (1931-2015), who just passed away earlier today, got his first Grammy award for this superb album, "Images," a collaboration with Michel Legrand recorded in 1975 and reissued on CD only in Japan (in 2002.) I know that, in a historic context, Charlie Parker (Phil's main idol, btw) is more "important" because of the bebop revolution. 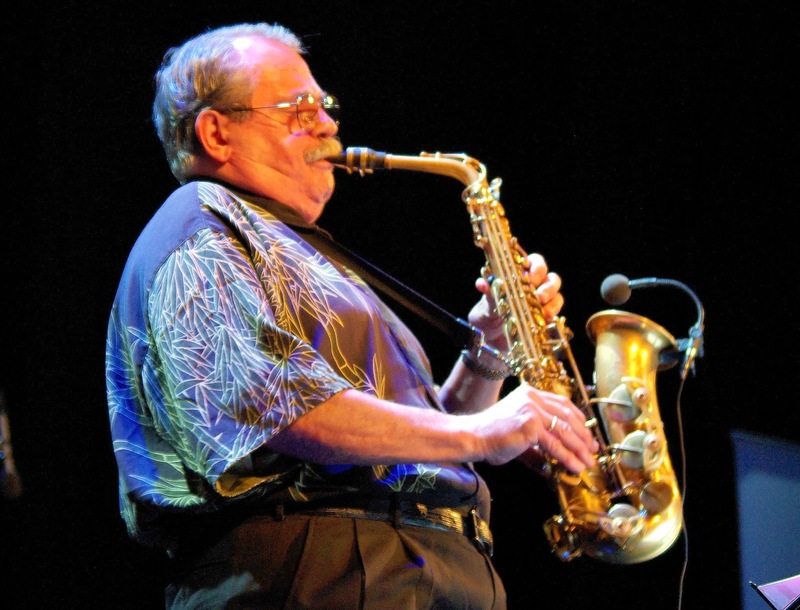 But, IMHO, Phil is the best alto sax player in the history of music, an impassioned virtuoso that knew the exact balance between technique and emotion. He never did a bad recording. He never recorded a less than magnificent, phenomenal, perfect solo. His sound, phrasing, tone, fluency, lyricism are sublime. His career spanned nothing less than 7 decades! In my collection, I also treasure the albums he recorded as the main soloist of The Creed Taylor Orchestra in the late 50s/early 60s, true collectors' items. 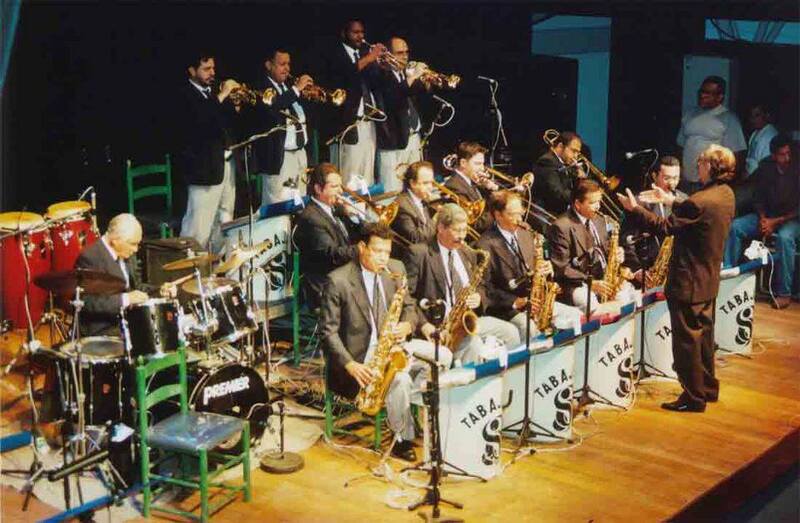 And the all-star session "Rhythmstick," a CD/LaserDisc filmed at Rudy Van Gelder's studio in 1989, on which he plays alongside Art Farmer, Dizzy Gillespie, Bob Berg, Charlie Haden, Anthony Jackson, Flora Purim, Airto Moreira and Tito Puente, is the best jazz video ever produced. 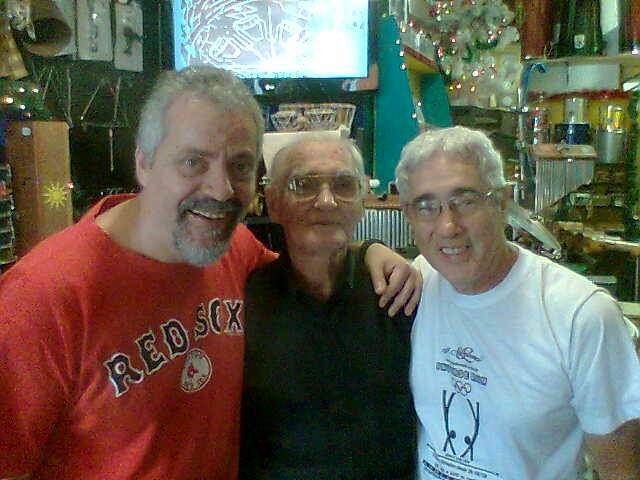 I was blessed with the chance to attend many of his concerts several times in New York at the Blue Note and three times in Brazil -- firstly in 1978 at the São Paulo/Montreux Jazz Festival, and twice in Rio, @ the Free Jazz Fstival with his quintet at the time that Tom Harrell was the trumpeter, and later @ the Copacabana Palace backed by a local band that featured the late Brazilian bassist Nico Assumpção -- and had the privilege to be introduced to him in NY by my long time friend (and his long time drummer) Bill Goodwin, to whom I'm forever grateful. R.I.P. All my Love and Respect, from here to eternity. Message from trumpeter Brian Lynch: "Rest In Peace: Hero, warrior, master musician and jazz icon; mentor and friend. Being a part of your family made me feel like royalty. Thank you for the honor of 23 years being your "front line". I love you, Phil!" Vocalist and master harmonica player Rob Paparozzi & The Blues Farm returns to The Falcon in Marlboro, NY for a high energy Sunday brunch. 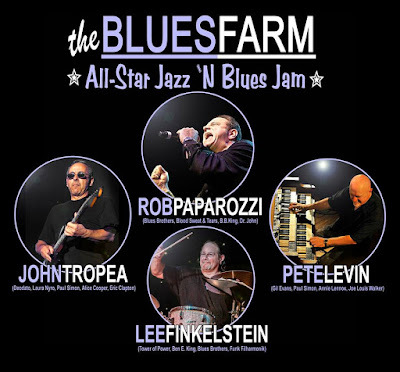 The frontman for The Blues Brothers band along with iconic guitarist John Tropea, Blues Brothers drummer Lee Finkelstein, and ace keyboardist Pete Levin (I love him since The Clams!) on Hammond organ. 11am-2pm. No cover charge. Reservations suggested. 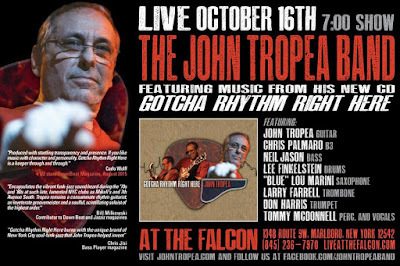 In October, The John Tropea Band live in NY! Save the date: October 16, 7pm! The fabulous John Tropea Band live @ The Falcon in NY! Featuring Neil Jason, Chris Palmaro, Lee Finklestein, Larry Farrell, Don Harris, Tommy McDonnell and the legendary Lou Marini!!! I love Tropea, he is one of my favorite guitarists since the epic solos on Deodato's groundbreaking "Prelude" (2001) album for CTI. This next Saturday, September 26, 6-10pm; hope to see you there! Join Ann Hampton Callaway for a taping of her new radio show "This is Cabaret"
Recasting cabaret as an emotionally engaging experience rather than a place, host Ann Hampton Callaway celebrates intimate performances and heartfelt songs from a variety of genres: jazz, Broadway, folk , singer-songwriter, the blues, and more. Guests give intimate performances and share personal insights, live from the stage of the legendary Birdland in New York City. 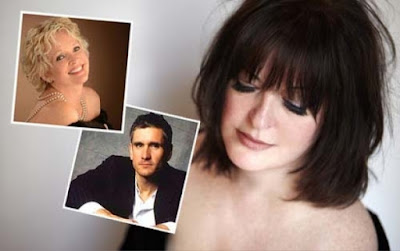 Each week, Ann Hampton Callaway "The Queen of American Cabaret" (Broadway World) , will hold court and engage some of the most interesting singers and songwriters from America and around the world. BUY TICKETS NOW THIS SHOW IS ALMOST SOLD OUT! 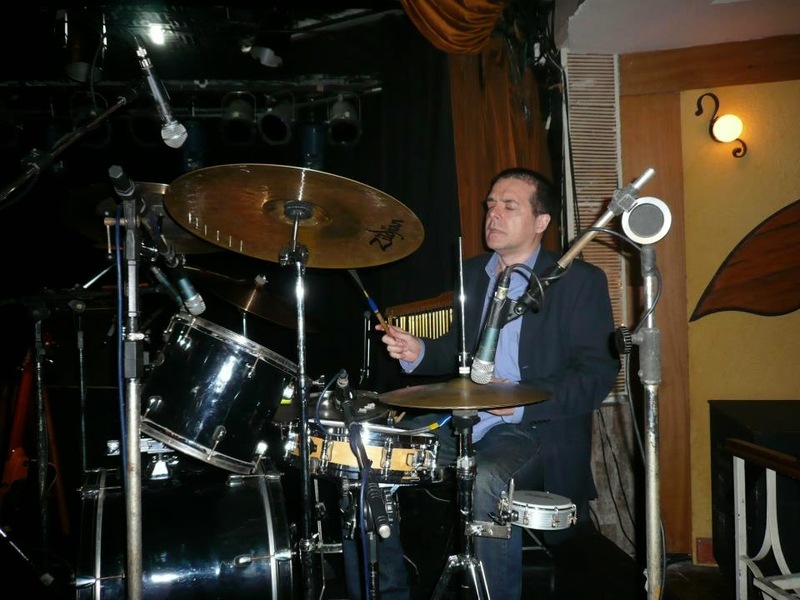 Drummer for the Orquestra Tabajara, led by his brother Severino Araujo, Plinio Araujo died yesterday, Sept 2nd, in Rio de Janeiro, RJ. He was 94 years old and still active! The best big-band drummer in the history of Brazilian music, he played for over 7 decades, taking part in the most important albums released by the Tabajara as well as on tenorist Zé Bodega's solo masterpiece, "Um Sax No Samba." In the 70s, he also took part on albums by Jards Macalé and Zé Ramalho. Rest In Peace. Vinyl Reissue of the Month - "Randy Weston: Blue Moses"
Randy Weston -- now an elderly gentleman and one of the few living witnesses and co-creators from the heyday of hard bop -- still leaves his home in Brooklyn to tour through Africa, Europe and Asia. A truly multicultural man. 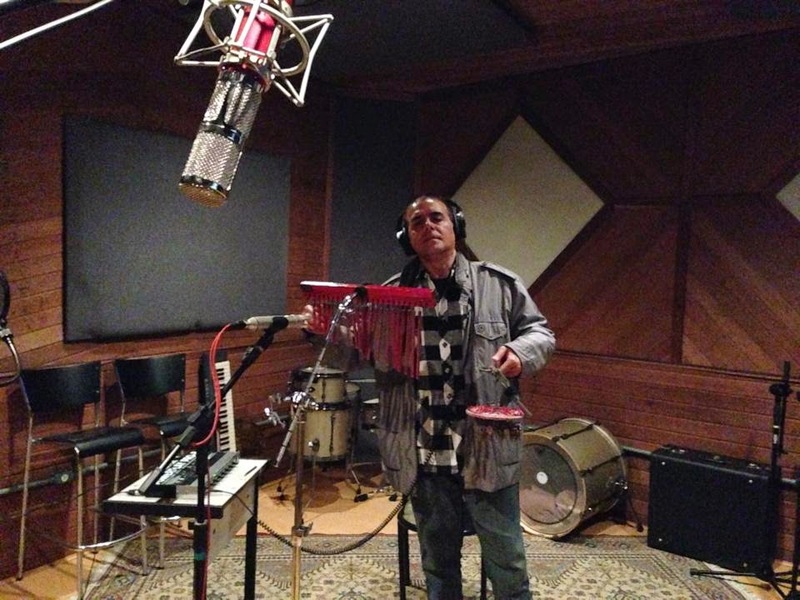 His percussive piano style has been influenced in particular by the ethnic music of Morocco; his amazing sense for the sounds produced by North-African melodic and rhythmic instruments has enriched his music over many years. 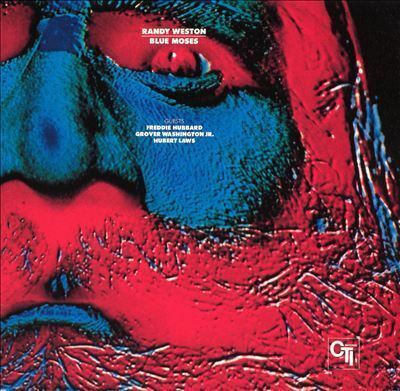 After seven years without making any recordings, "Blue Moses" was recorded in 1972 at Rudy Van Gelder’s studio. Lengthy trips through North Africa and as far as the Niger, plus the ignorance of American record companies, were the reasons for the long pause. Finally the CTI boss Creed Taylor took an interest in Randy Weston and financed a large ensemble with Don Sebesky as arranger/conductor. The four themes provide a great basis for improvisations by the soloists, whereby the Randy Weston’s piano takes the lion’s share. 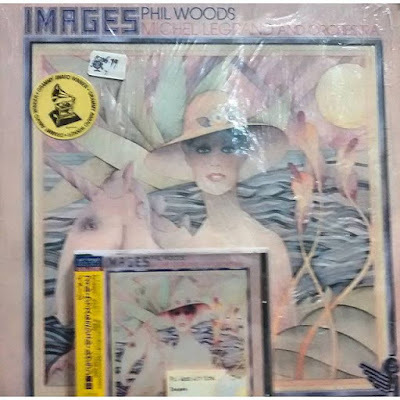 The flute is also very prominent – and no wonder: all flute solos are by Hubert Laws. "Blue Moses," the most commercially successful album in pianist/composer Randy Weston's career, remains one of his most controversial due to his conflicted feelings about the final product, which he feels is too polished and too far from his original intent for the project. Indeed, appearing on Creed Taylor's CTI imprint was an almost certain guarantee of polished production. This group was led by a punchy Don Sebesky-arranged horn section that includes such masters as trombonists Garnett Brown (famous for his work with Herbie Hancock), Warren Covington (from Gene Krupa and Tommy Dorsey's orchestras), and Wayne Andre, trumpeters Alan Rubin, Marvin Stamm and John Frosk, French horn masters Jim Buffington & Brooks Tillotson (both would appear on Deodato's "Prelude"), and multi-instrumentalists Romeo Penque (playing clarinet, oboe & flute) and George Marge (English horn, clarinet & alto flute). "Blue Moses" consists of four compositions; it was an attempt by Weston to showcase the influence "Ganawa" music from Morocco had on him as a composer. The opening track, the hard-bop waltz "Ifrane," says it all, with a frenetic and splendid interplay between soloists Freddie Hubbard, Grover Washington, Jr. and Billy Cobham. "Ganawa (Blues Moses)," with its frenetic, minor-key piano lines, knotty, Middle Eastern Eastern-sounding charts, and skittering North African rhythms push the listener into a new space, one that stands outside of CTI's usual frame in, and into, the exotic. The brass arrangement is sumptuously wild, and while that might overshadow some recordings of lesser substance, Sebesky knew what he had in Weston's tunes, and reigned his players in just enough to keep the dynamics fresh, open, and full of engaged call-and- response playing between Weston, Hubbard, and Laws. The use of French Horns is equally an additional proof of Sebesky's genius. So too, album closer "Marrakesh Blues," with wordless backing vocals by Madame Meddah, twinned trumpet and flute lines, gorgeous electric piano solos, and a deep, strolling bassline. It's an Eastern modal blues with the sound of a horn section to boost its drama. The way Sebesky employs David Horowitz's Moog synthesizer on this track, using it as a member of the horn section, is also quite impressive. "Night in the Media" is a labyrinthine, more abstract piece, but utterly atmospheric and colorful in its arrangement, with exciting interplay between Weston's enormous chords and Washington's swinging, soulful saxophone and Airto's percussion & vocal effects that create a lithe, spiritual jazz groove. It's the only track on which Bill Wood (then a member of Weston's touring band) replaces CTI's official bassist Ron Carter. No matter how Weston ultimately feels about "Blue Moses," this date succeeds on all levels. Creating a commercially viable recording from the elements presented must not have been easy, but Taylor rose to the occasion and delivered a grooving beauty of an album without compromising Weston's genius. It is quite possible that many jazz fans will have missed the name Randy Weston when flipping through the letter 'W' in record shops in the 70's. Now they have the opportunity to correct this mistake with this re-release. 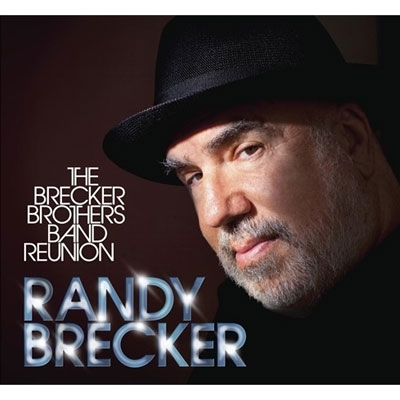 CD/DVD Set of the Month - Randy Brecker: "The Brecker Brothers Band Reunion"
Disc 2 founds Randy, Ada and the rhythm gang (bassist Will Lee, guitar ace Mike Stern, virtuoso drummer Dave Weckl, keyboardist & producer George Whitty plus special guest singer/keyboardist Oli Rockberger) smokin' @ the NYC Blue Note (date not mentioned on the booklet). Anyway, it's a splendid performance with 6 tunes also available on the studio versions (opening with the fiery "First Tune Of The Set," then "The Slag," the latin-tinged "Adina," "Really In For It," "Stellina," "Merry Go Town") but that sound even better on the live date. Randy dedicates the project not only to Michael Brecker but also to other musicians who played with band in the 70s and 80s and already left Earth too soon: Hiram Bullock, Don Alias, Ralph MacDonald, Luther Vandross and "honorary Brecker Brother, our mentor" Barry Rogers. 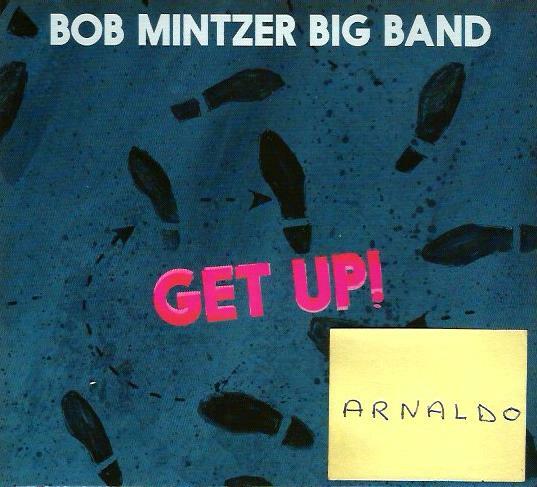 Big Band CD of the Month - "Bob Mintzer Big Band: Get Up!" Since 1983, when he did a debut album for the Japanese market and two years later signed with Tom Jung's now defunct DMP audiophile label, tenor saxophonist, composer, and arranger Bob Mintzer has been delving into the big band format and its myriad stylistic possibilities, collecting five Grammy nominations and one Grammy win in the process. His newest CD, Get Up!, which is his 20th big band album to date, just cane out on MCG Jazz. It was recorded live during two nights (October 10-11,2014) at Manchester Craftsmen's Guild on Pittsburgh, PA. Produced by MCG's Marty Ashby and arranged by Mintzer, Get Up! features guitarist Ray Obiedo and bassist Will Lee, as well as Mintzer's longtime colleagues in the Yellowjackets, pianist Russell Ferrante and drummerWilliam Kennedy. 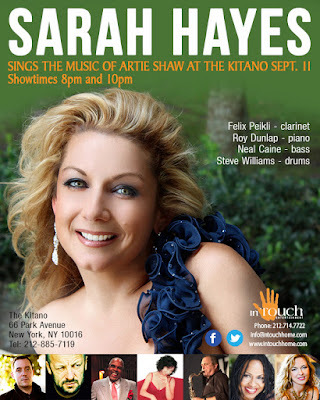 Besides five originals by the leader, including the James Brown-inspired title track, the set is made up of Mintzer's vibrant arrangements of the Wayne Shorter-penned Weather Report classic "Elegant People" and three of his favorite R&B tunes from the late 1960s: the Isley Brothers' "It's Your Thing," Sam & Dave's "I Thank You" (written by David Porter and Isaac Hayes), and Sly & the Family Stone's "Sing a Simple Song." The lifelong New Yorker, who's considered one of the tenor saxophonists to come out of the school of New York players in the 1970s (also including Michael Brecker, Bob Berg, Dave Liebman, and Steve Grossman), rose to prominence as a member of Eumir Deodato's group, with whom he toured a lot and recorded the live album "Artistry" (MCA). Later he played with John Tropea, the ace guitarist on Deodato's combo. 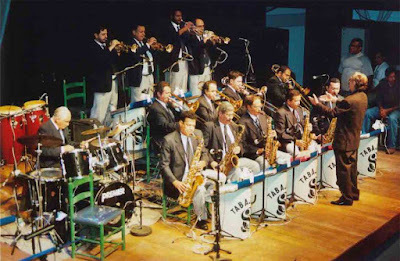 Mintzer's big band dates to 1983, when the Brecker brothers asked him to put together an ensemble for their club Seventh Avenue South, has been based in Los Angeles since 2008. He lives in the former house of composer Arnold Schoenberg (his first L.A. residence, 1934-1936), and is the recipient of the Buzz McCoy-endowed chair of jazz studies at the University of Southern California. 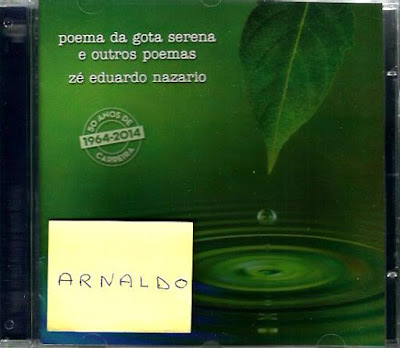 CD Reissue of the Month - "Zé Eduardo Nazario: Poema da Gota Serena E Outros Poemas"
An expanded reissue of Nazario's debut solo album, recorded in 1982. To celebrate the 50th anniversary of his career, this CD includes nothing less than six extraordinary bonus tracks, all previously unreleased, cut between 1977 and 2004 with different bands. A stunning showcase of Nazario's highly creative approach to universal music, always with a very personal avant-garde concept that confirms his position as one of the world's greatest drummers and percussionists. Instrumental Jazz CD of the Month - "Reggie Quinerly: Invictus"
Drummer/composer Reggie Quinerly made an indelible impression on the jazz world with his 2012 debut recording, Music Inspired by Freedmantown, a soulful and serious-minded tribute to the historic African-American neighborhood in Houston where he grew up. For his second CD, Invictus, released by the drummer's Redefinition Music label, Quinerly takes inspiration -- and the CD's title -- from the 1875 poem by William Ernest Henley ("I am the master of my fate / I am the captain of my soul"). "Many of today's artists face great uncertainty," Quinerly observes in the new CD's notes, ". . . and while critics, musicians and fans continue to debate the commercial sustainability of an entire industry, I firmly believe its sustainability rests solely within us creators: no matter who is (or isn't) listening, we must persevere, we must create and we must document, because only that which is documented lives on." Invictus demonstrates with its very different musical demands just how much Quinerly has developed into a balanced yet ever-evolving artist. The album surrounds him with a brilliant young cast: vibraphonist Warren Wolf, regarded as one of the most exciting players on the instrument in years; prodigious pianist Christian Sands; rising guitarist Yotam Silberstein; and lyrical bassist Alan Hampton. One of the wonders of Invictus is how much freedom the compositions allow these ravishing soloists while staying inside its textural designs. Quinerly had this particular instrumentation in mind from the start, crafting compositions that took into account the sonorities and lyrical abilities of each player. Wolf is showcased on the album opener "Tavares," dedicated to Horace Silver and "rooted in tradition with a certain earthiness." Bassist Hampton, Quinerly's high school classmate and "one of my favorite musicians to work with," is the soloist on the melodic "Nimzo Indian," named for the chess strategy. Guitarist Silverstein is featured on the ballad "Variation 24," and Sands on the solo piano piece "Kunst Überlebt" (Art Survives). On Reggie's arrangement of "My Blue Heaven," the disc's only nonoriginal, the leader tips his hat to another musical influence, the illustrious pianist and composer Mary Lou Williams. "As a composer, the melodies you write are like parts of your identity, like your name," says Quinerly. "If a melody is not done right, if the notes are not played properly, it's like mispronouncing your name. but all the musicians on this project pay special attention to properly interpreting the intended themes." Reggie Quinerly, 34, was born and raised in Houston's Fourth Ward -- once known as Freedmantown -- and attended the High School for the Performing and Visual Arts, where his classmates included Mike Moreno, Robert Glasper, Eric Harland, Jason Moran, and Alan Hampton. 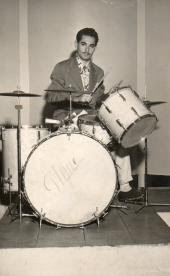 After graduation he headed for New York City, enrolling at the Mannes School of Music at New School University and studying there with Jimmy Cobb, Lewis Nash, and Kenny Washington. He earned a B.A. from Mannes and later an M.A. from Juilliard, both in Jazz Studies. Noted as "a drummer and composer of swinging disposition" (Nate Chinen, New York Times), Quinerly has worked with such notable musicians as Von Freeman, Vincent Herring, John Hicks, Joe Lovano, Branford Marsalis, Christian McBride, Wynton Marsalis, and Greg Osby. With saxophonist Marcus Strickland, he also played and lectured in New York City schools as part of Lincoln Center's Jazz in the Schools program. He frequently collaborates with vocalist/pianist Enoch Smith Jr., who appeared on Quinerly's first project.